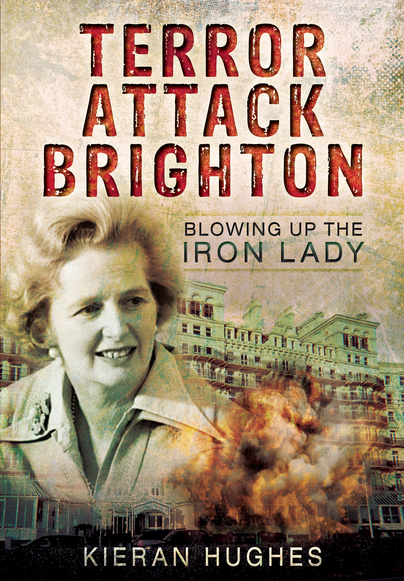 You'll be £8.00 closer to your next £10.00 credit when you purchase Terror Attack Brighton - Blowing up the Iron Lady. What's this? The Brighton bombing in 1984 was the most audacious terrorist attack ever on the British Government. Certainly it was the most ambitious since the Gunpowder plot of 1605. The Provisional I.R.A. detonated a bomb at the Grand Hotel on 12th October 1984. Most of the Government were staying at the hotel at the time. The Conservative party was holding its annual conference in the town. Five people were killed in the explosion, and more than thirty were injured. It came very close to wiping out most of the Government, including the Prime Minister, Margaret Thatcher. The I.R.A. 's Patrick Magee had booked into the Grand Hotel under the false name of Roy Walsh, about a month before. He planted a bomb with a long-delay timer, hidden under a bath in one of the rooms. He was given eight life sentences for the crime, but released from prison in 1999 under the Good Friday Agreement. He served just fourteen years behind bars. It was one of two IRA bombs aimed directly at the collective Government of the day. The other was in February 1991 when, at the height of the Gulf War security alert, the I.R.A. fired a mortar bomb directly at Downing Street. The War Cabinet was in session to discuss the threat from Saddam Hussein. The bomb was only yards from hitting the Prime Minister and his senior colleagues. The Grand Hotel bombing and the Downing Street bombing were 'different' to the IRA's other attacks. They were aimed directly at the heart of the democratically elected Government of the day, particularly the Prime Minister and Cabinet. Other IRA bombings either caused greater loss of life, resulted in more injuries or were of a far greater financial cost. For example, attacks at Omagh in 1998 killed twenty-eight, the explosion in the City in London in 1993 cost one billion pounds and the Manchester Shopping Centre bomb in 1996 saw two-hundred people hurt. Devastating as these attacks were, it can be argued that they were aimed at getting attention, disrupting democracy, costing the country money and bullying their way to the political decision making process. The book is a useful primer for those interested in the events preceding, around and subsequent to the Grand Hotel bombing, and will be useful as such. This is a workman like review of an event that has received less attention than it deserves. Highly recommended. ...In writing the first book on the Brighton bombing, Hughes has performed a useful service, and future historians - armed with fresh facts - will be grateful to him.